Are you considering filing a consumer proposal or bankruptcy in Windsor? At Hoyes, Michalos & Associates Licensed Insolvency Trustees we know the importance of meeting with you personally to talk about your situation. We carefully assess your situation and help you explore all of your options so you can choose the debt solution that is right for you. Once you do, we ensure you are informed of every step along the way to financial freedom. 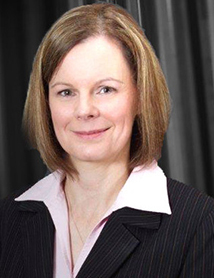 Our Windsor office team is led by Rebecca Martyn, a Licensed Insolvency Trustee. Rebecca understands the stress you feel when dealing with overwhelming debt. Her experience and caring approach will put you at ease immediately. If you have a question about bankruptcy or a consumer proposal, Rebecca will provide you with answers. She will help you find lasting solutions to your debt problems. We are ready to help you get a fresh start. Contact us today. The corner of Ottawa and Pierre in the old Teppermans and Union Hall building. There are visitor spots in the office parking lot. Parking is available on street on Pierre Ave, Ottawa Street and the municipal parking lot at the southeast corner of Ottawa and Pierre. The building entrance is on Pierre, and we are the second office on your right. There’s also a bus stop right in front of the building and our office is wheelchair accessible.